Debugging your app can happen in a few different ways. The first thing to do is open your web inspector when looking at your app preview. 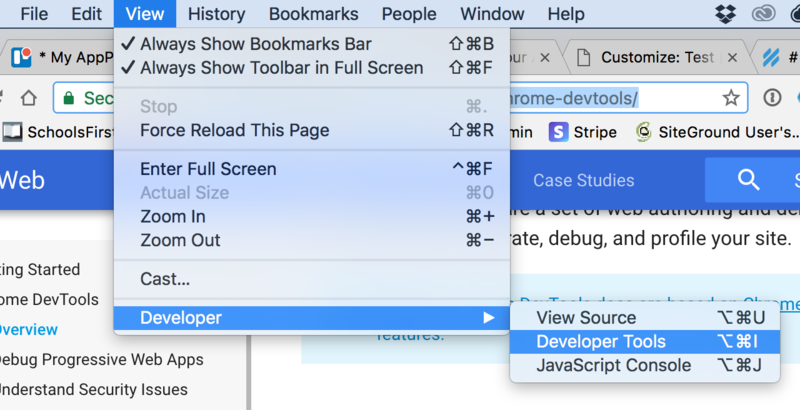 In Chrome, you can open the web inspector under View => Developer => Developer Tools, or press ALT CMD I. In Safari you need to first enable the web inspector, then find it in the developer menu or press ALT CMD I. Major errors will appear with a red highlight, yellow and white are just informational messages. Not all problems with your app can be found in this web inspector, it's better to use USB debugging on a device whenever possible. 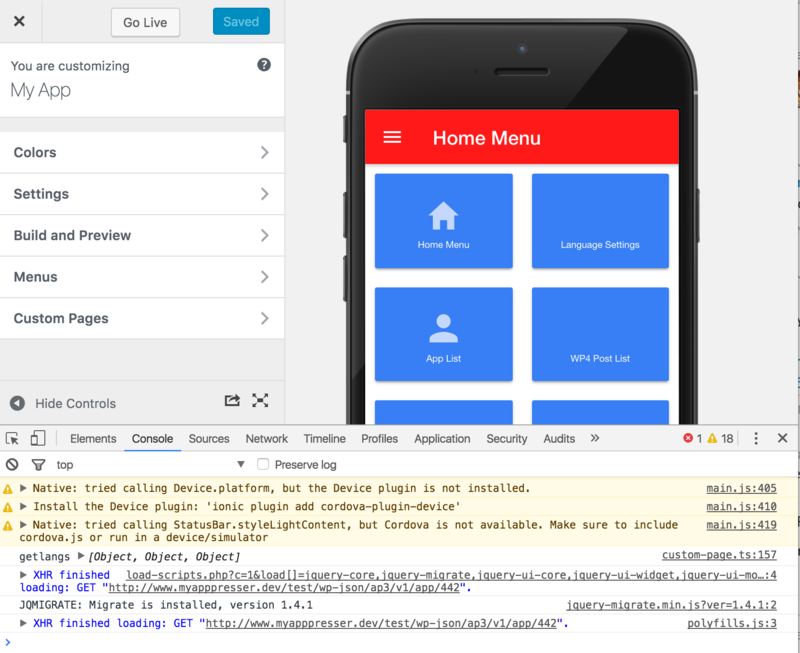 USB debugging allows you to connect your device to your computer with a USB cable while your app is running, then view errors in a browser inspector. The browser inspector is the same one you used above to debug the app preview, but you have to use your device as the target. To USB debug your app on Android, please read this article. To USB debug on iOS, please read this article. After following those articles, you will be able to open a browser inspector and see errors for your app in the console tab. Errors are in red.